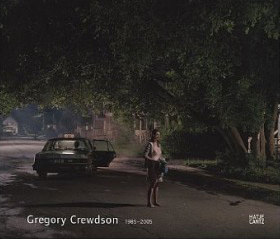 Photographs by Gregory Crewdson. Edited by Stephan Berg. Essays by Martin Hentschel, Martin Hochleitner, Urs Stahel and Stephan Berg. Hatje Cantz, Ostfildern, 2005. 200 pp., 80 color and 100 b&w illustrations, 11Â¾x10″. Originally published in the Photo-eye Booklist, Winter 2005.